You might notice a slight slow down in progress around 12 Oaks as we have a new project underway– a flip! Ben has actually done a dozen of these over the last 4 years, but over the last year or so it has been hard to find them. Foreclosures were getting bought up by big hedgefunds who would come in way above asking just to make big quotas. So we were happy to finally get another one for the right price. We closed on it Memorial Day weekend, and so far have pretty much gutted it inside and cleared the property of dead and overgrown trees outside. We plan to have it 100% complete by mid-July. So a quick timeline to get a lot done as you will see. 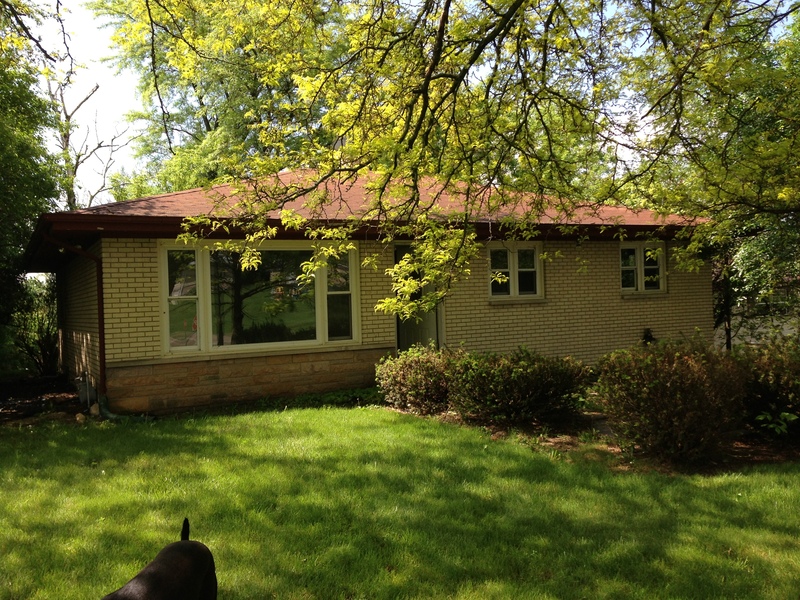 Here is the front of the house. 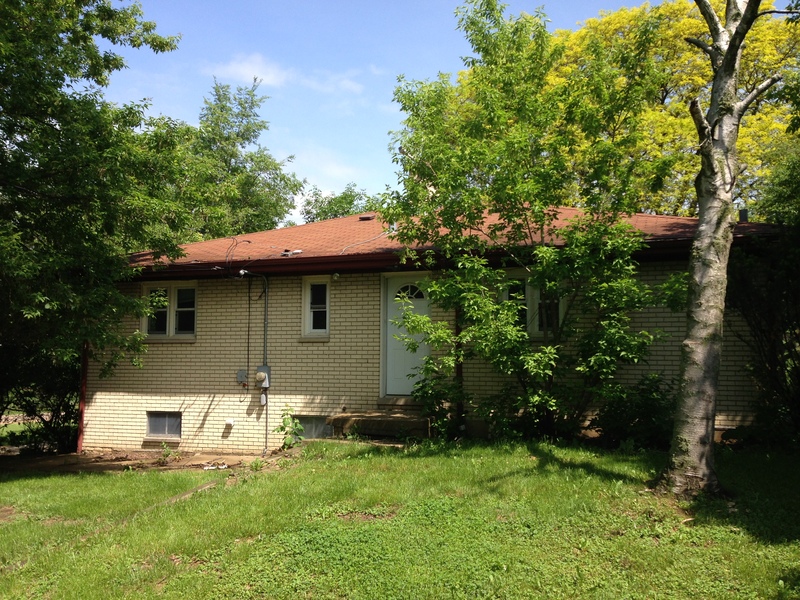 We will be landscaping and replacing the gutters, soffits and facia. 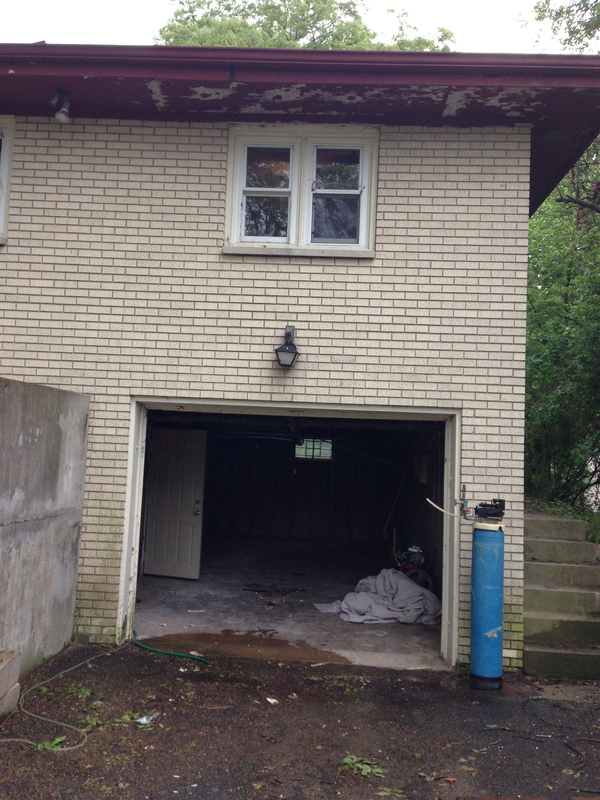 We will be adding a new garage door, re-surfacting the retaining wall (seen on the left), and adding a new light. Here’s the back of the house. We are building a deck back here and have already cleared out the dead and too-close-to-the-house trees. 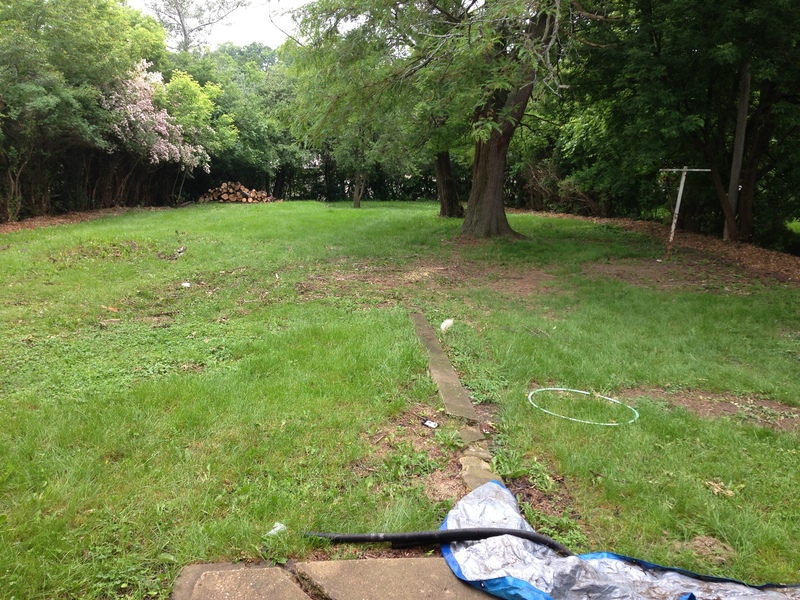 It has a nice little private backyard. Here is the living room off the front of the house. 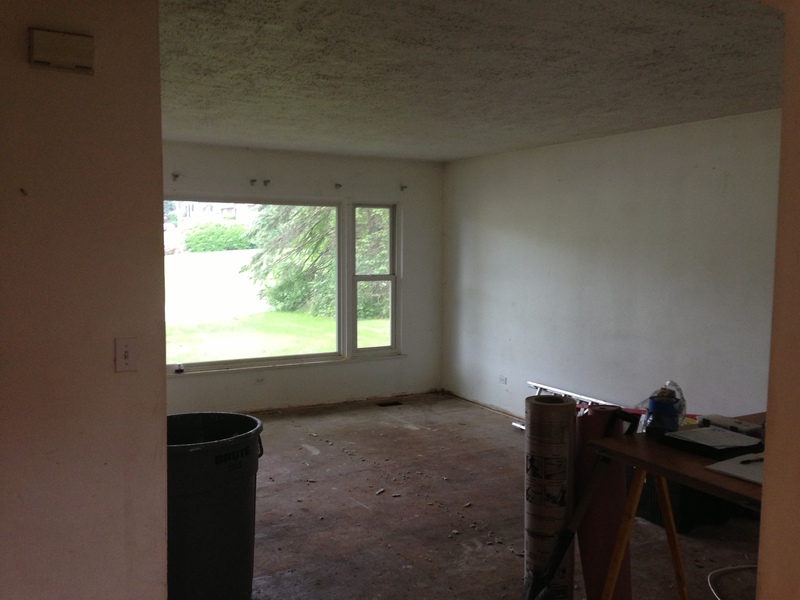 We will be adding can lights in the ceiling, new paint and carpet. Another view of the living room looking toward the kitchen. The kitchen was a complete gut and we didn’t get a chance to take a picture of it before. 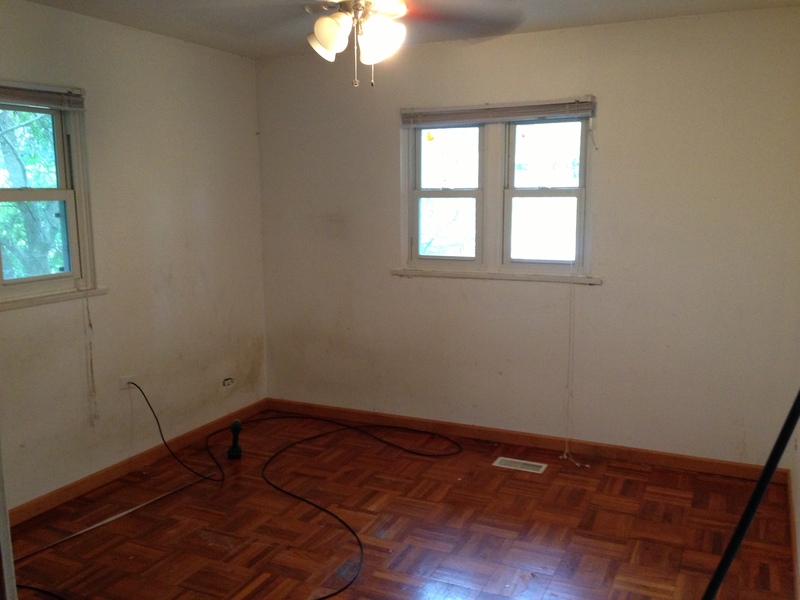 But just imagine some nasty old cabinets, vinyl flooring and no appliances. The kitchen will get new cabinets, stainless steel appliances, granite countertops, and floating laminate flooring that looks like wood. Right now this is the only bathroom in the house. It will get a new vanity, lights, tile flooring, tub surround and toilet. 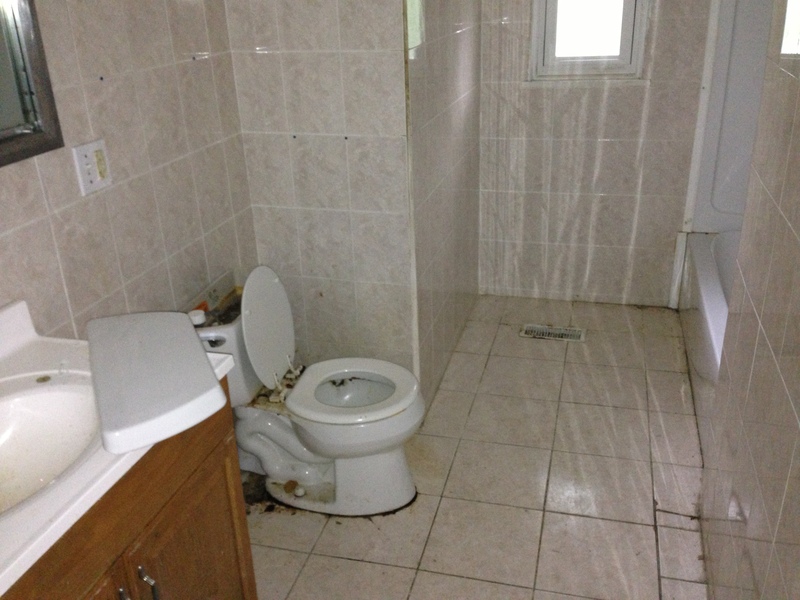 Can you believe the toilet is almost rotted right through the floor? Gross! 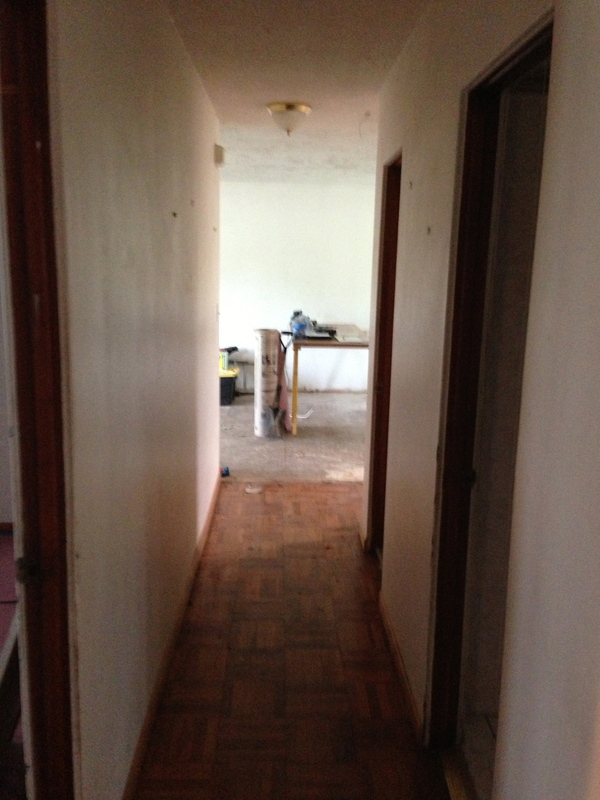 This is the hallway with the 3 bedrooms off of it. Paint, trim, new doors and new lights in here. 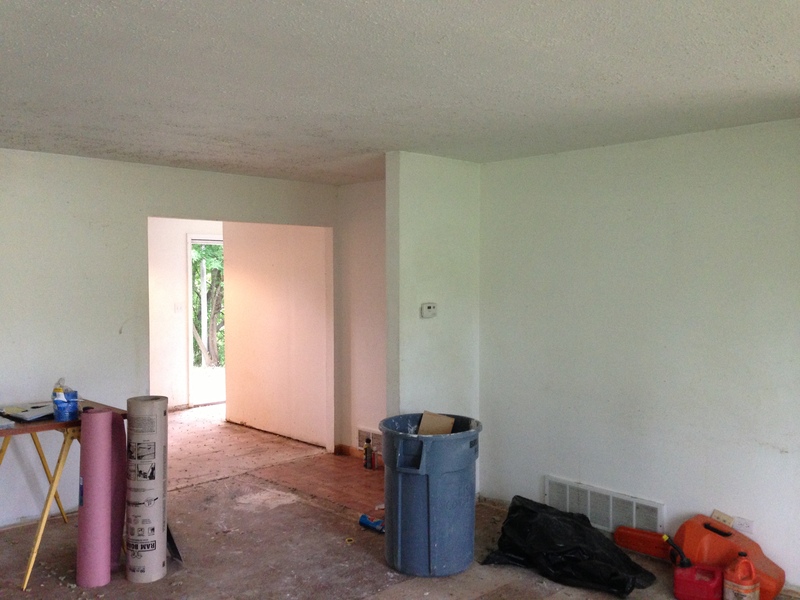 We plan to keep the floors in here and the 3 bedrooms. Here is one of the bedrooms, and they all look pretty similar. They will each get new lights, trim, doors and paint. 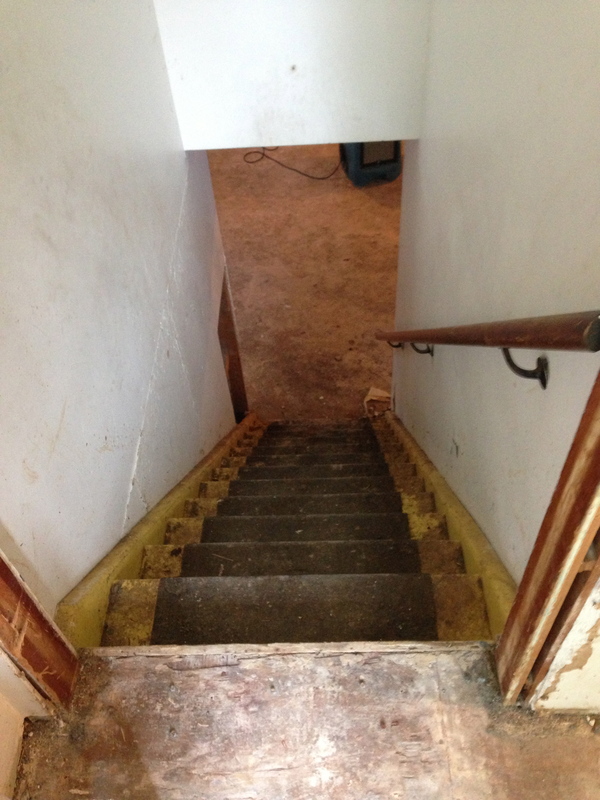 Off the kitchen are stairs down to the basement. 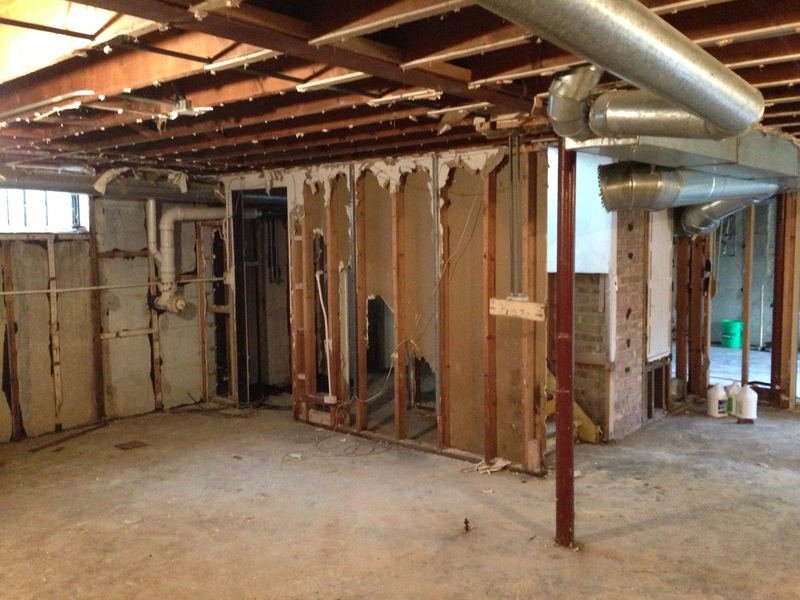 We are going to completely finish the basement, adding 2 bedrooms, a living room and laundry room. 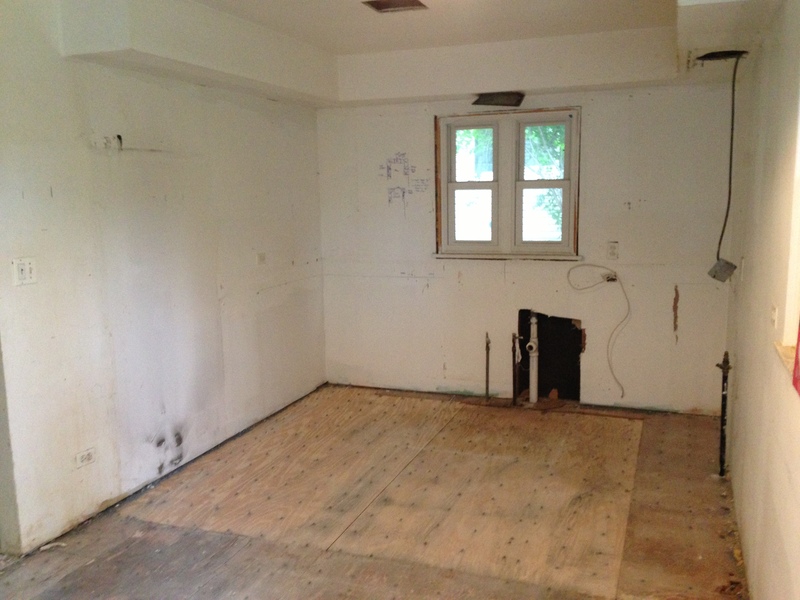 Pretty much a blank slate down here now. 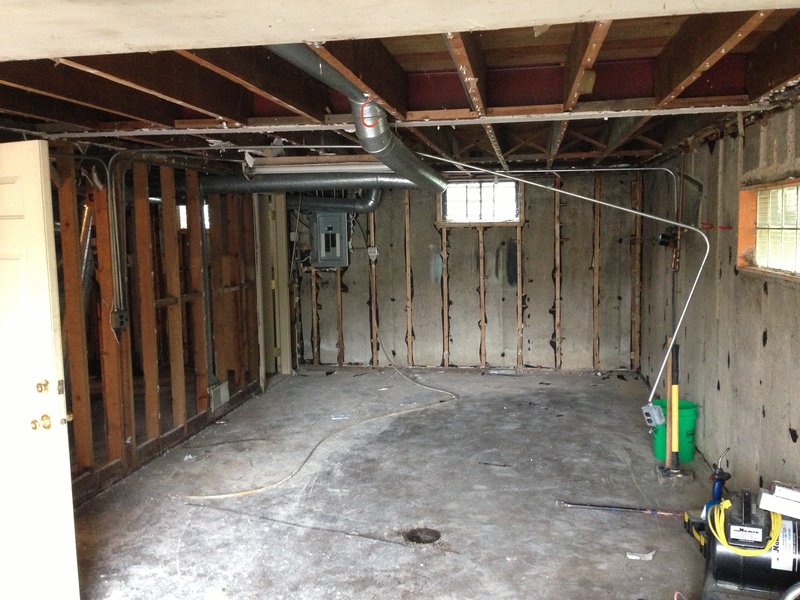 And here is the inside of the garage which will get insulated, drywalled and painted. Who wants to move in? No one? Hopefully this place is unrecognizable in another 6 weeks. We will share some after pics when it’s all done! Hello! Why don’t you share the work in progress??? Would be very interesting! Can’t wait to see how good this house will look! Have a great week!